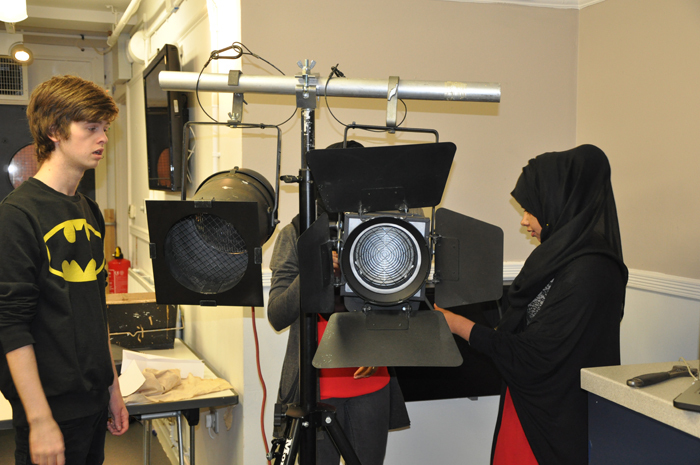 Since September our Learning and Engagement Team has been working alongside AKSA Homes and First Choice Homes Oldham to deliver Teaching Theatre, a project that engages young people from Oldham in the backstage running of a theatre. The project encourages participants to develop a range of practical skills based around the various disciplines that contribute towards the running of a producing, building based theatre. They take part in master classes in all aspects of a producing theatre from Marketing to Technical Stage Management, Front of House to Learning and Engagement. As a result of this training the participants have accumulated the skills and understanding to begin their own Theatre Company: Fresh Faced Theatre. They are now currently working on their own touring production called Billy Down the Wormhole. The group, with some support from the Coliseum, are independently writing, directing, producing and marketing the show. We are Fresh Faced Theatre and this is our first post on our new blog, we just wanted to let you know what we’ve been getting up to. 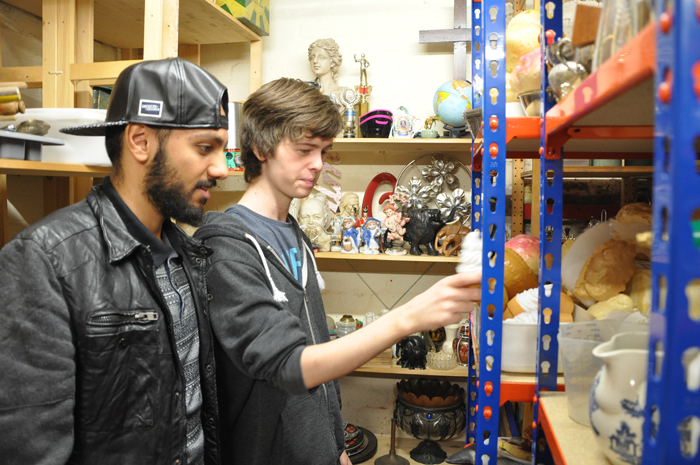 We have been working hard towards a show called Billy Down the Wormhole which is coming along really well. We now have the complete script, which we have written as a group, and have begun rehearsals. We cannot wait until it’s time to go on tour in in February. 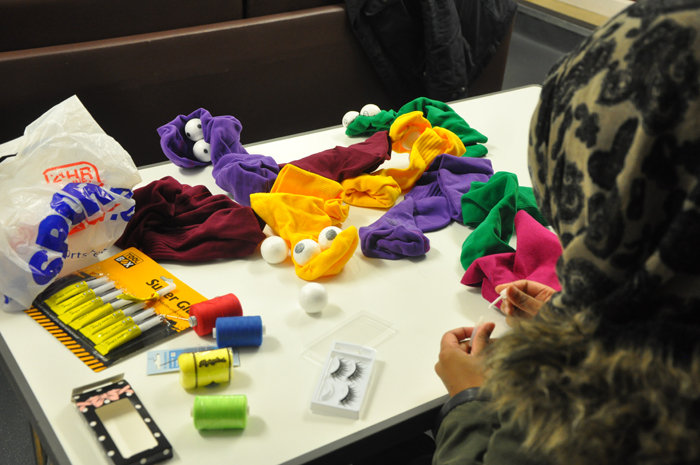 Our Designer Hafiza has been hitting the streets of Oldham shopping for props and creating puppets. Jack had a meeting with the Coliseum’s Marketing Officer and has been working long and hard creating our poster to which we all have contributed writing the copy. Martyn, one of our actors, met Justine Bailey who is playing Aladdin in the pantomime and she was great! 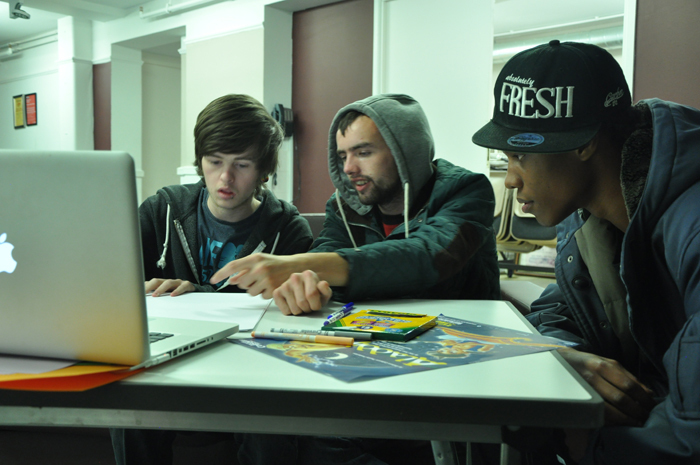 Yasmin, our young enthusiastic Director has been developing ideas for the staging and is being as bossy as ever! We now also have our very own Coliseum email address which we can use to contact venues for our tour, update sponsors on our activity, and Coliseum staff for anything else we might need. Keep an eye out for further blogs and we will keep you updated on our progress as we continue to create our production.